Find out the point of difference in your business. 00:25 – What is the ultimate usp in business? 01:20 – What do you do after you’ve identified a hungry market? 02:20 – How do you stay on top of your book keeping? Learn ways you can improve your business, join SilverCircle. Already a member? Click here to enter. We’re going to be covering the best USP you can have. What you should do after you identify a hungry market. And how to get on top of your finances. Alright, so what’s the #1 USP or point of differentiation in business? It’s integrity. Just like this building behind me, you may recognize as the coliseum in Rome. It stands for a long time. It’s hard to build in the first place but it lasts a long time and that’s just like integrity in business. If you do what you say you will do then that is the best point of difference in business because so many other people don’t do that. Here’s a word you should never use in business, policy. When you hear a customer service representative saying, “Oh it’s our policy, etc. etc.” we switch off. We don’t feel very personalized. Good news if you’re on the waiting list for SilverCircle, as you know it opens about every 3 months and we’re due to open about 2 or 3 weeks from now. What do you do after you’ve identified the hungry market? The next thing is you need to determine if you can access them. As I’m driving around Italy, one thing I’ve noticed is there’s a huge market for coffee. But the market is being served very well by local suppliers. Almost every shop has a different supply. What you won’t see is a lot of Starbuck’s chains because they can’t access the market here. The market is hungry for coffee but there’s no distribution. There’s no reason someone would switch out really good localized coffee for terrible inferior commercialized brand and stuff. If you want to access the market quickly, go for relationships. We’ve been visiting friends in Italy who we’ve become friends with over Facebook first, and then when we meet face-to-face, it extends that relationship. Visiting private residences, accessing things that normal tourists won’t see and that started with the foundation of a relationship. That’s the best way to build your business, through word of mouth and building on top of relationships. 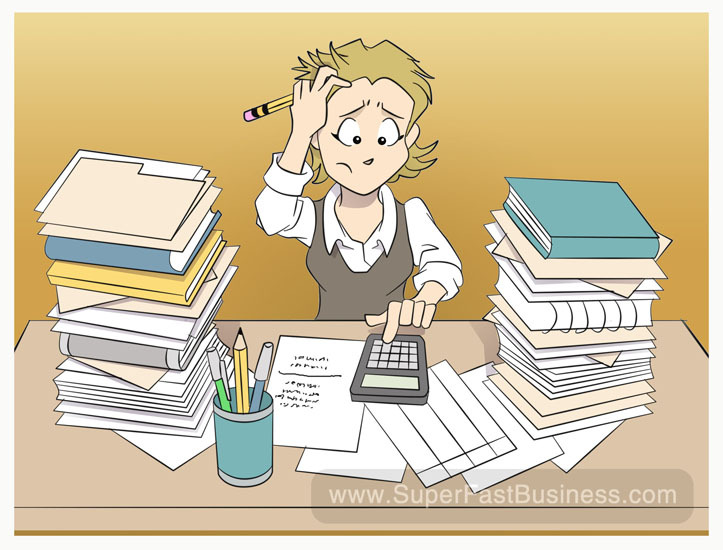 How do you stay on top of your bookkeeping? Well I suggest you look at a solution like Xero. You can get a bookkeeper to add all the things and to tag them into your Xero account and then each quarter you can prepare an easy statement. Here’s the best 3 pages to put on your website. An FAQ page, a results page, and a glossary. The FAQ answers all the common questions you get. The glossary helps you educate customers as to how your industry works. The results page shows people that what you do actually works. If you want to see a great example of that, have a look at SuperFastBusiness Traffic Services. You’ll see those 3 pages and they do all the heavy lifting from the site. I hope you’ve enjoyed this business tips update. I’ll catch up with you next week from a new location. Visit our iTunes channel and rate this podcast. Please comment after this post.